Brandon and I planned our trip to the British Virgin Islands pretty late in the game. One night after dinner we were like, “Let’s book a trip somewhere.” And so we did. Where? That was the easy part. We’ve been wanting to visit the British Virgin Islands for quite a while due to the white fluffy sand, gorgeous turquoise water, and stunning island landscapes. All in all, the location seemed like a good mix of relaxation and fun. 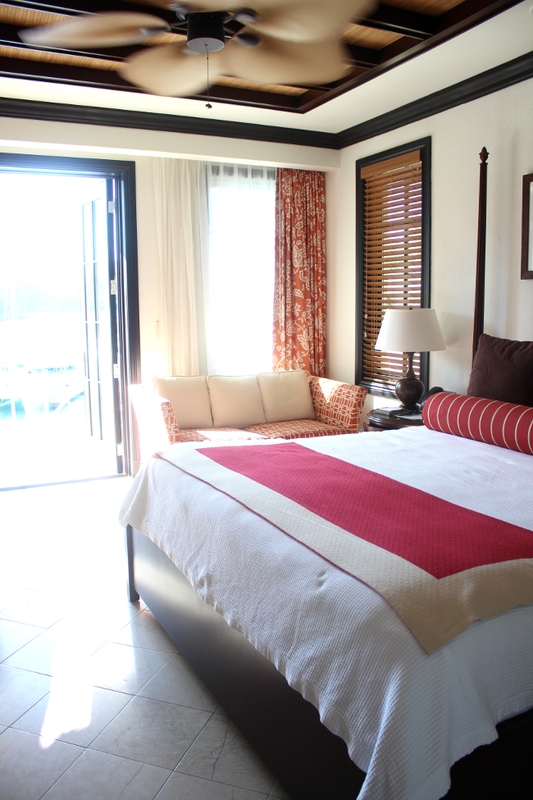 Choosing where exactly to stay in the BVI was the hard part. For a fairly small group of islands, there are a lot of lodging choices—many people stay on sail boats (BVI is the sailing capital of the Caribbean)…also, there are tons of resorts and plenty of awesome home rentals, too. 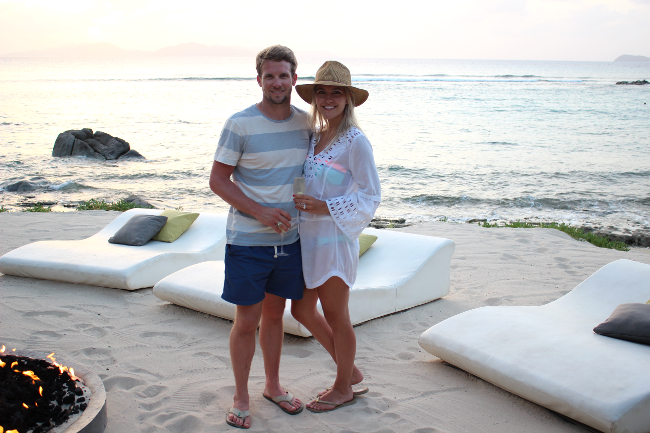 I narrowed it down to a few favorite resorts and did some major research on each one. Scrub Island Resort, Spa & Marina prevailed. The location is great, the view is spectacular, there are a lot of activities at the resort, and it’s also home to a marina where beautiful yachts are docked, so we knew the scenery would be full of eye candy. I digress. Let’s get back to the point or else this review could last forever. That’s the hard part (and why I’ve waited a week) in writing this—there’s SO MUCH to talk about. I don’t know where to start and where to end, so I’m going to break this up into categories. The resort had someone waiting for us at the airport to drive us to the ferry dock, which was a whole half a mile away. 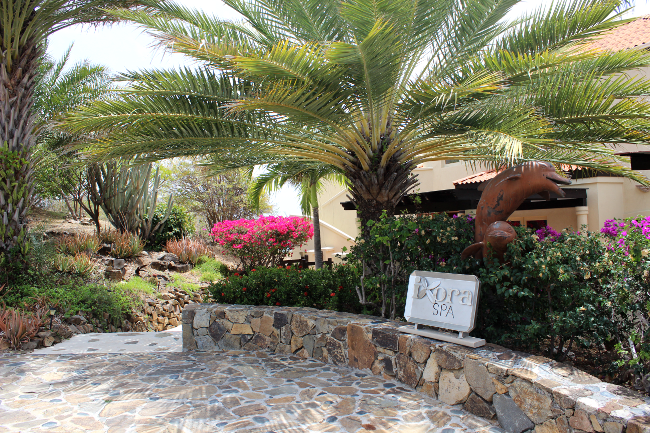 Scrub offers a complimentary 10 minute ferry to and from Trellis Bay, where the airport is. While at the dock waiting for the ferry, our plane friends, who were invited to stay at Necker Island as personal friends of Sir Richard Branson, were getting picked up on a private boat and asked if we wanted a ride to our resort on “Dickie’s boat.” Um, is that even a question?! Upon arrival, the resort had someone that met us out on the dock to collect our luggage. There was also someone waiting with two cold glasses of rum punch. Off to a smashing start! 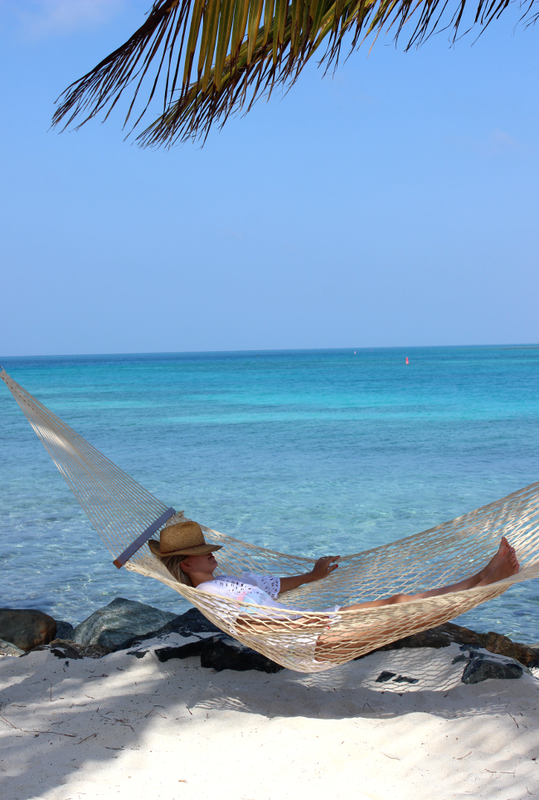 There is a lot to do on Scrub Island. To name a few things… there are three beaches (one in plain sight, one only accessible via kayak, and one hidden about a mile away), two pools with swim up bars, a big hot tub, a water slide, a water trampoline, water activities like paddle boards and kayaks, and two restaurants, Caravela and Tierra! Tierra! The food was delicious. Ah, and I can’t forget about the amazing retreat that is Ixora Spa, which features luxurious L’occitane products, and sits beautifully on top of a hill overlooking the gorgeous water views. Breakfast. Brandon and I woke up with the sun almost every day and started our mornings around 7:30am at breakfast on the outdoor balcony at Caravela. We are not even big breakfast food lovers (I’d much prefer cold leftover pizza to bacon and eggs), but this was easily a highlight of our trip. It allowed us to enjoy the soft lighting and peaceful sounds of the mornings, while getting our plan together for the day. The food was absolutely amazing. Possibly the best breakfast I’ve ever had, with the only exception I can think of being Halls Gospel Brunch. The service was slow for breakfast and all meals, really. We weren’t looking for a quick in & out meal, but it almost just felt like the servers were disinterested. One example: We would stand at the hostess stand while waiting to be seated, and just get stares for a few minutes until the servers finished polishing the glasses or silverware. I hate to say anything negative (this is the only bad thing! ), but I’m being real here. It’s probably just a different culture and by the end of our trip, it’s something we actually found humorous. And plus, one bite into those nutty banana pancakes and all was forgiven. 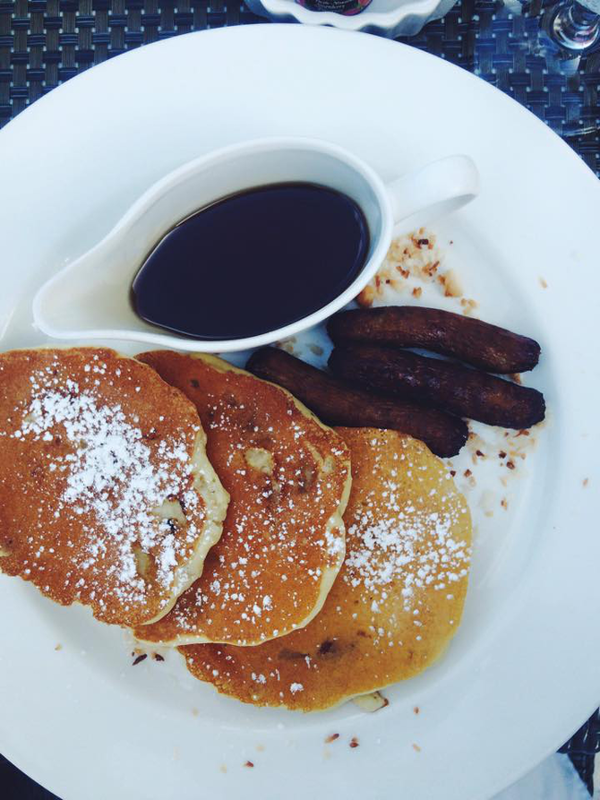 I mean honestly, I didn’t even know pancakes had the potential to be so good. North Beach. I mentioned there are three beaches at Scrub (possible more, I guess, but we saw three) and this one was our favorite. The resort will have someone drive you down to this beach, but we preferred to make the mile-ish walk there because the incredible views were better taken in on foot. Once at the beach, we noticed there is a full-service beach bar with every fruity concoction you can imagine and a full lunch menu. There’s also a pool and private tiki-hut cabanas spread along the beautiful, private beach. We scooped up one of these huts and happily made an afternoon out of it—twice. That’s North Beach behind me in the photo below …and that was North Beach in these photos. Ixora Spa. Brandon didn’t partake, but I happily marched myself up to the Ixora Spa and had an Immortelle Secret of Brightness Facial, which is meant to smooth & renew damaged skin. This was appropriate for me since the sun had already kissed my face a little too much. For that reason, the esthetician skipped the scrubs and basically did an hour long facial massage, along with a few soothing masks. This took place in a lovely open-air treatment room overlooking the water, with the wind casting into the room and peaceful music in the background. Y’all, it was what dreams are made of. Dive BVI. On Scrub, there is a dive shop called Dive BVI that has a huge activities menu. 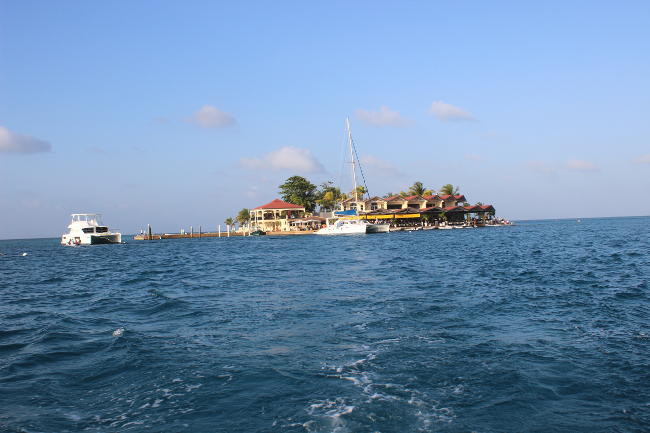 They not only provide diving lessons and scuba trips, but they also have sightseeing excursions and snorkel trips. Brandon and I went on the “Island Hopper,” which was a BLAST. The boat picked us up at Scrub and took us snorkeling at an incredible reef on Norman Island, then to Willy T’s, an infamous boat that is anchored in a cove at Norman, for lunch and drinks, then to Soggy Dollar Bar for some original Painkillers and fun in the sun. I can’t describe how great of a time we had on this day trip. We even met some awesome people on the boat that we met up with later on during our trip for happy hour at Saba Rock. Water Sports. We paddle boarded a few times and went kayaking to Honeymoon Beach one morning. It was so nice to have all of this available right at the resort whenever we wanted it. We also jumped on the water trampoline and Brandon did an epic fall off of it that I caught on video. I literally die laughing when I even just think about it (He won’t let me share it.). Origin. This is a fantastic sushi restaurant in the heart of Road Town, Tortola. It doesn’t look like much from the outside, but it’s a nice blend of cozy and trendy in the inside. The tables were all full and we didn’t have a reservation (noted! ), so we sat at the bar. This ended up being a real treat because we were able to chit chat with the wonderful bartender who is from Australia. The sushi was phenomenal and I don’t throw that around too lightly because I’ve been spoiled by sushi at O-Ku, which is the freshest I’ve ever tasted. 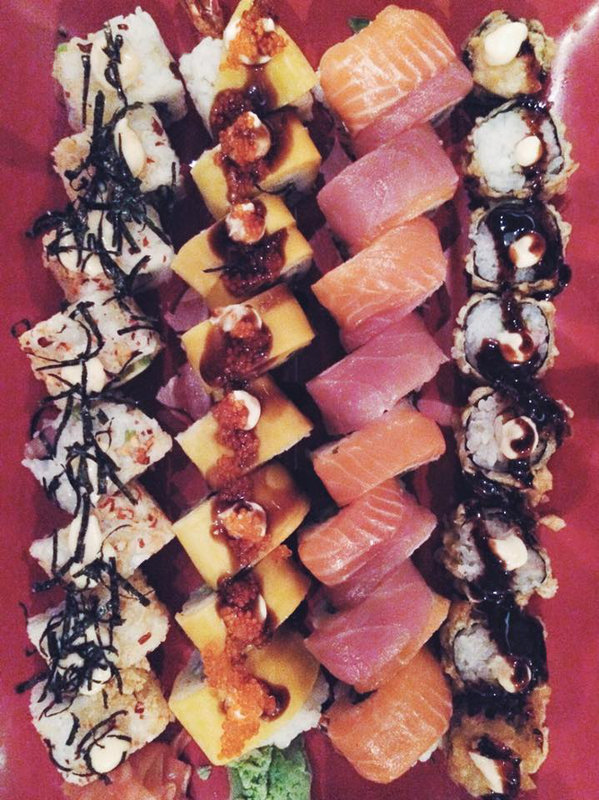 They incorporate a lot of local fruits and veggies into the sushi at Origin. Highly recommend. CocoMaya Restaurant. Guys, this place is BVI heaven. The service was the best we experienced throughout our whole trip and they even treated us to champagne since it happened to be our two year anniversary that day. Side note: We had no idea this place was so trendy and nice, so we rolled up in our beach clothes since we had been exploring the island all day! 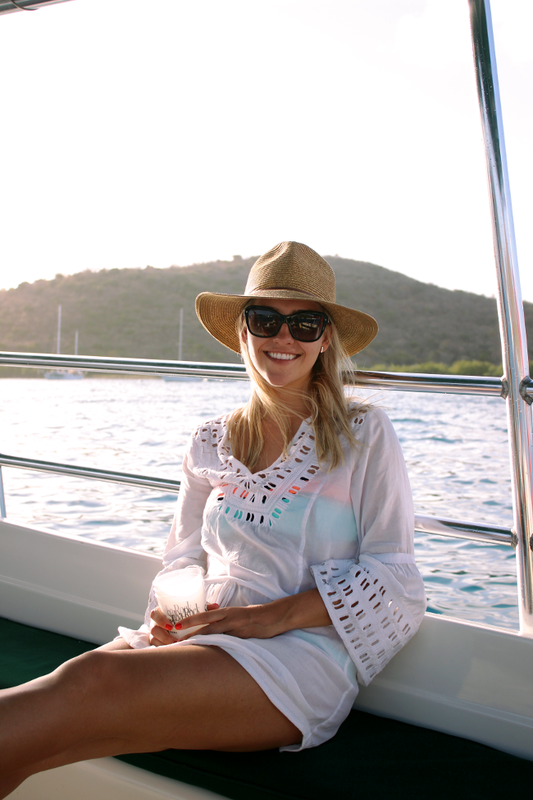 (Most places in BVI are very casual, which I learned very quickly after arriving with really dressy clothes for dinners and realizing I had no place to really wear them.) We asked the hostess if we were okay to eat there and she said it was totally fine, but I did feel a bit embarrassed when it got darker and people started rolling in in their finest resort-wear. 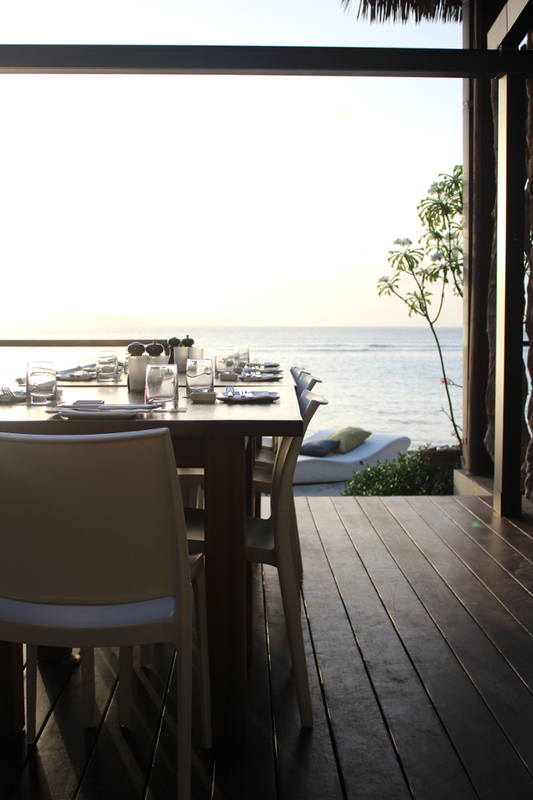 But to sum this place up, it’s a chic restaurant and lounge right on the beach, complete with incredible decor and fire pits on the beach. Their food is Asian and Latin fusion. They have a great sushi menu, but since we had just had that a few days prior at Origin, we chose a handful of tapas items and split the pad thai, which was the best I’ve ever had, by the way. Saba Rock. The views from Saba Rock were some of my favorites. It’s basically its own little island, surrounded by beautiful sights. One side was full of sailboats and the other was a completely clear view of the Eustatia Sound. You can even see Necker Island from here. I’d recommend heading over around 4pm to enjoy the views and catching the happy hour specials, which are $4 drinks, if I’m not mistaken. The menu looked incredible (hello, lobster tacos! ), but we didn’t stay to eat since this is the night we went to CocoMaya. Oh, at 5pm they feed the tarpon, which is pretty entertaining. For being such a small little place, it felt like it’s own little world. We loved it. Willy T’s. 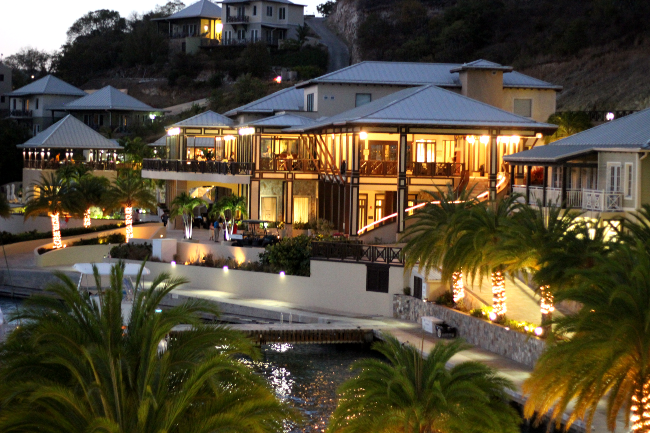 This legendary bar and restaurant floats in The Bight at Norman Island (it’s a 100ft. long boat). People jump off the second story of the boat and into the water. I did and, of course, lost an earring. I suppose there are worse things I could’ve lost! The Soggy Dollar Bar. Well, this is just a given. 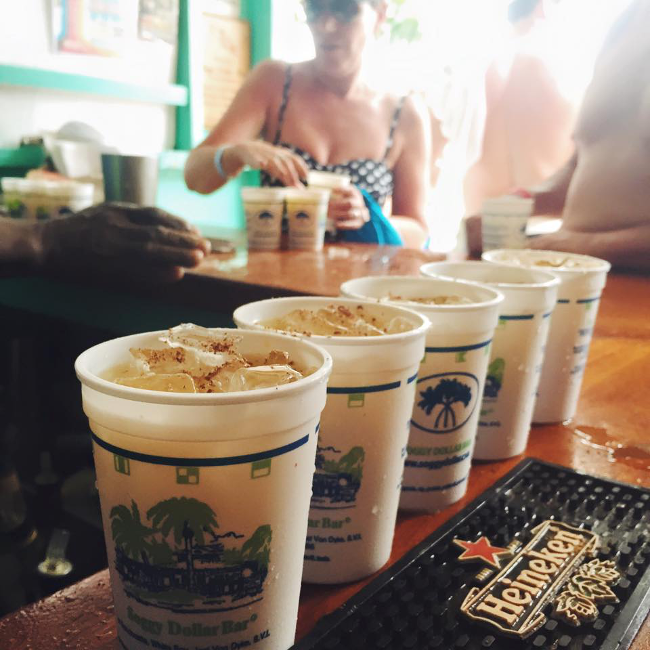 The Soggy Dollar Bar got it’s name appropriately enough because patrons anchor their boats out in the bay and swim up to the beach, so they are paying with “soggy dollars.” This is definitely a party spot and a ton of fun. If you go, you’ve got to get a Painkiller—this is where they originated. Mahogany Car Rental. I know it sounds silly to mention a car rental service, but these guys were above and beyond. We emailed them one night after hours asking for a car the next morning at 9am, not thinking we would actually hear anything back. They emailed us back (after hours, mind you) about an hour later, asked where we wanted the car to be delivered, and said it would be there—no problem! Sure enough, the next morning at 9am, there was a friendly representative named Puck who was waiting for us with the car at the Virgin Gorda ferry dock—right where we needed it. 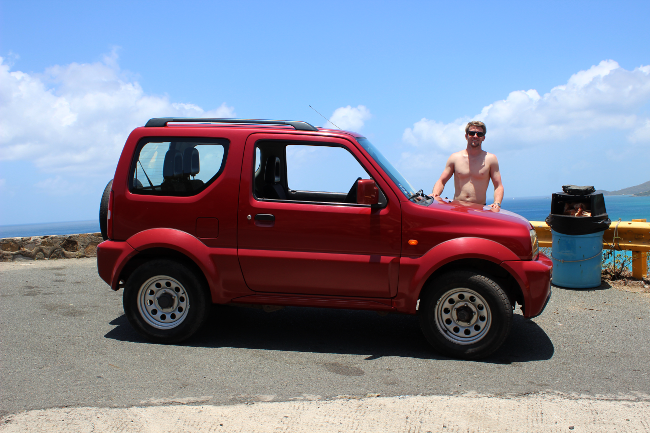 We spent $50 on a cute little car that took us around the island all day—and it only cost $9 to fill back up! We had such a fun time exploring the roads and seeing lots of sights on our own time. 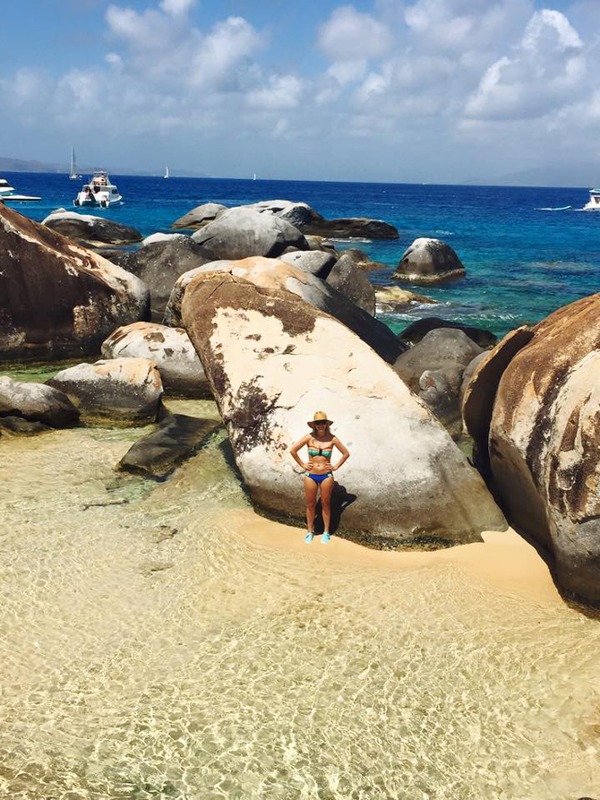 The Baths at Virgin Gorda. This was one of the coolest things I’ve ever seen. The Baths are a very unusual formation of giant volcanic boulders. The way they are positioned creates natural tunnels and pools that open up to the sea. It’s pretty amazing. The British Virgin Islands might be my favorite place I’ve seen in the world so far, rather than home of course. I would go back tomorrow if I could. We liked it so much that Brandon and I discussed living there for a year, but I know that will probably never happen. The only downfall I found is that it’s a little complicated getting from island to island (vs. one big island where you can drive around anywhere you want to go). There are ferries, but it was sometimes a pain to have to comply with the ferry schedule. If only there were water taxis just waiting around everywhere to take you wherever you want to go! That said, we were completely fine getting around for the six days we were there, but any longer and it could have gotten annoying. In comparison to St. Lucia (because I’ve been asked how this trip compared to our honeymoon)… this was a completely different type of vacation. I went into this trip without a single plan made because I thought it would be similar to St. Lucia, where we just laid around and relaxed the whole time. Wrong! We were so active on this trip because there is so much more to do in the BVIs. 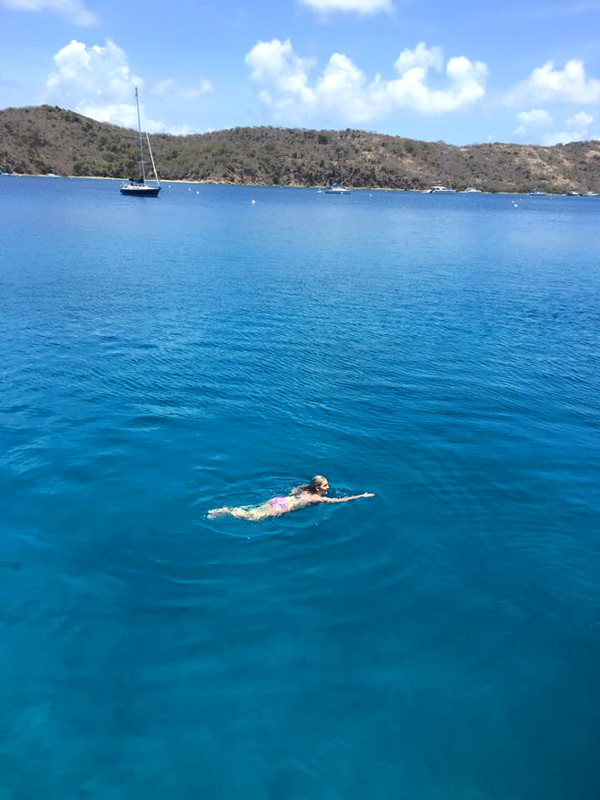 The water, to me, is more beautiful than in St. Lucia because it’s a lighter blue and you can see through it more. The sand in the BVI is also much more light in color and fluffy, while it’s coarser, darker, and hotter in St. Lucia. St. Lucia has a very tropical/rain forest climate, so it rained there every day…if even for only a few minutes. It’s much drier in the BVIs during this time of year, so we didn’t see rain once (although it did rain one night while we were sleeping). The views in St. Lucia (at least the views we had of the Pitons) were much more majestic than what we saw on this trip. 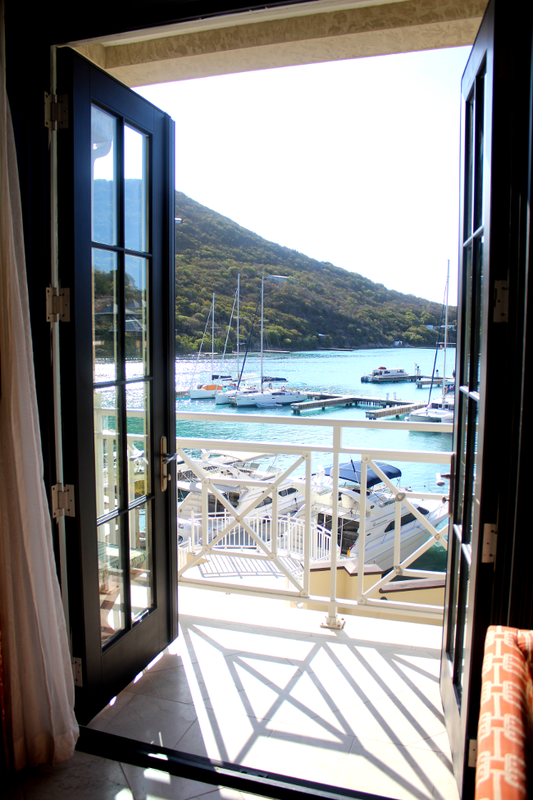 I remember having my jaw literally drop when we walked into our room at Jade Mountain in St. Lucia and I definitely didn’t get that same feeling at Scrub Island/BVI. So if you’re going on a trip for pure relaxation, incredible views, and a rainforest type of scenery, I’d recommend St. Lucia hands down (especially staying at Jade Mountain, which was a total dream!). However, if you’re looking to do any water sports, have more of an “island hopper” type of experience with incredible places to eat and drink, and enjoy some sandy-toed days, I’d recommend the British Virgin Islands. They are both insanely beautiful places and have made for some special and happy memories for us. 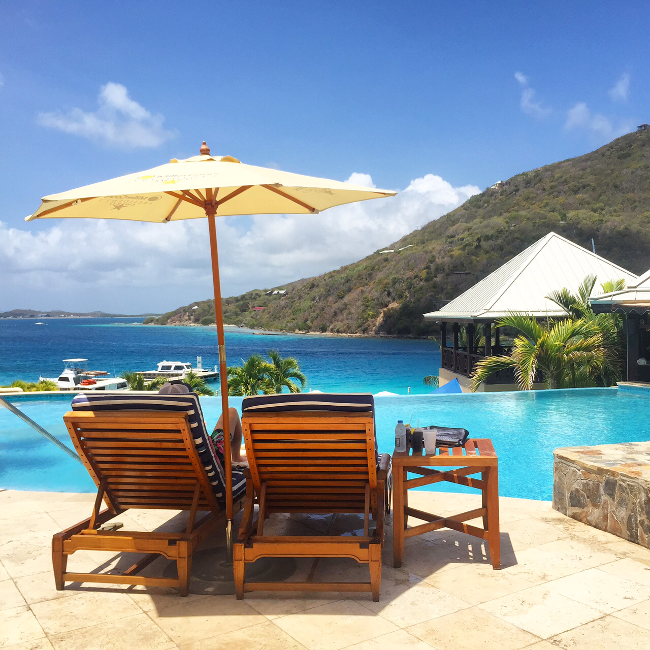 …and if you’re planning a trip to the British Virgin Islands, I’d 100% recommend staying at Scrub Island. I don’t think we could have asked for a better getaway and I’m already dying to go back. We sailed in the BVIs a few years ago and Virgin Gorda was breathtaking! Your pictures make me ready for vacation. Wow! That whole trip just sounds amazing. 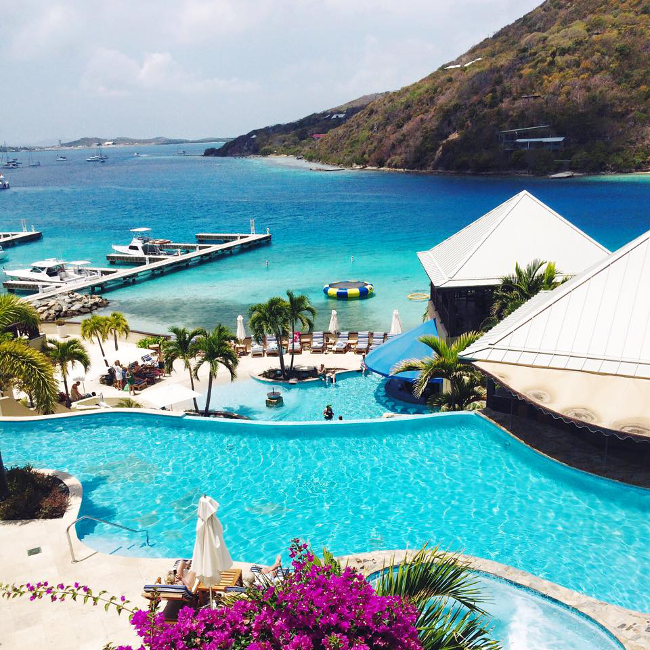 I've never really considered the BVI for a vacation but I definitely have it on my list now. Thanks for such a thorough and helpful review! We are looking at hopping over from St Thomas in DEC but I am leaning more towards Peter Island! Did you look there and if so, why did you choose Scrub? Looks amazing! 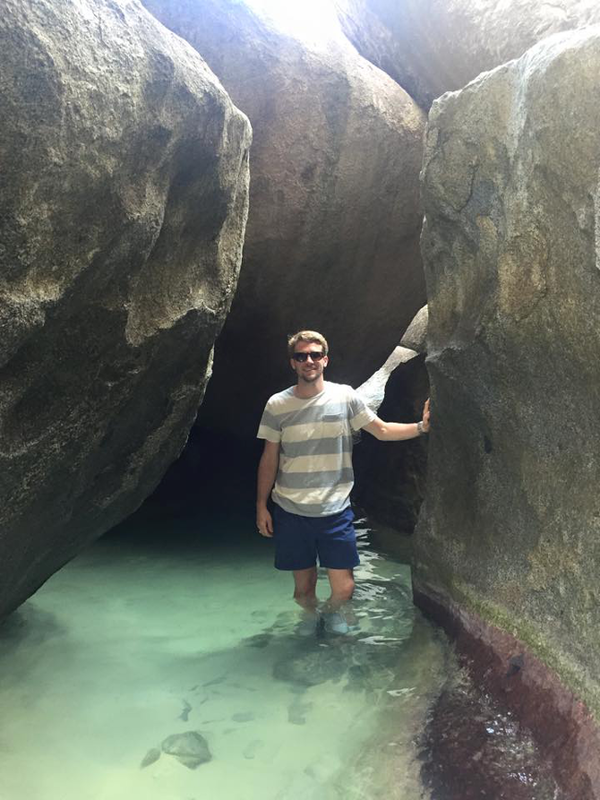 I didn't realize how much there was to do on the BVI's or how beautiful the islands are!! What a fun trip!! Ahhhh Megan this looks like the best vacation ever. I'm dyiiiiing to get away to the beach and it just looks so perfect. I love to relax, but I can also get a little stir crazy, so it's good to know there are good active options! Okay, booking my trip now. These pictures are beautiful, thanks for all the great tips! 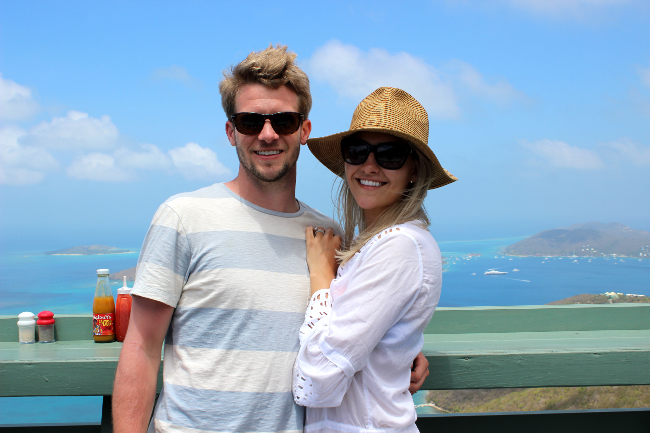 This is a great recap–we did BVI for our honeymoon and rented a villa, but did the Island Hopper tour from Scrub Island. 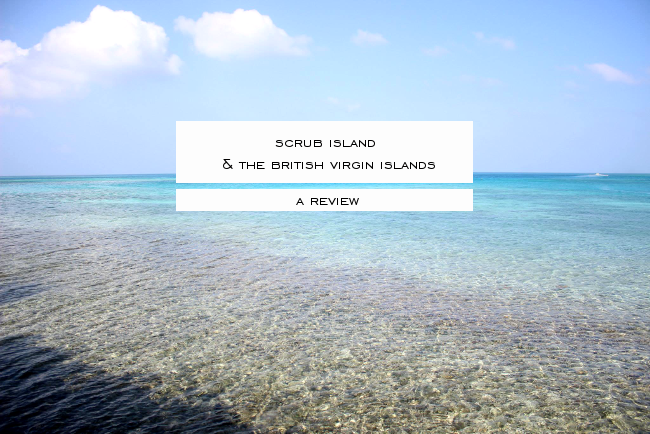 When we got there to catch the boat for the day trip, I declared IMMEDIATELY that we would return to the BVI one day and stay at Scrub Island. Your post has only made me want to do so even more! PS: How did y'all get to Coco Maya and Saba Rock from Scrub? A Ferry? We are going to be there for a week beginning 2/1. We would like to go to Coco Maya for dinner and wanted to see if you can let us know if you went by ferry, and if so, how can I get the information for that. Thanks. I am so excited to go here!! We are leaving on Thursday for spring break! I was looking ay your pictures and they are amazing! What kind of camera did you use?? Your blog post is great! We read it and going to Scrub Island in November. Thanks for all the suggestions! Your blog is great and so helpful! We are going there in November. Can't wait to try out some of these excursions….especially the sushi place! Honeymooning in Scrub in September and CANNOT WAIT! I had considered skipping over to Tortola for dinner during our stay, but never considered Virgin Gorda. How did you get to Sabra Rock/CocoMaya- they look right up our ally? 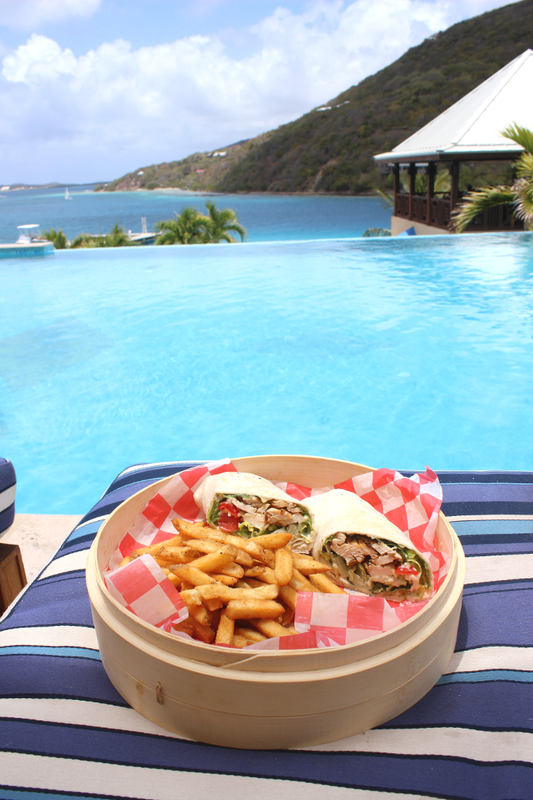 Do you have any restaurant recommendations in Tortola or do you think it's more worth it to head to VG? Also, I have been searching like crazy to find more info/pictures on Honeymoon Beach and can't seem to find anything. Is is totally remote or are there hotel beach chairs/towels located in that are? Thanks in advance- having so much fun researching and planning our honeymoon!!! If yes, Kindly contact [email protected] for further information.